Singer-songwriter Seth Raddatz. Photo by Len Villano. 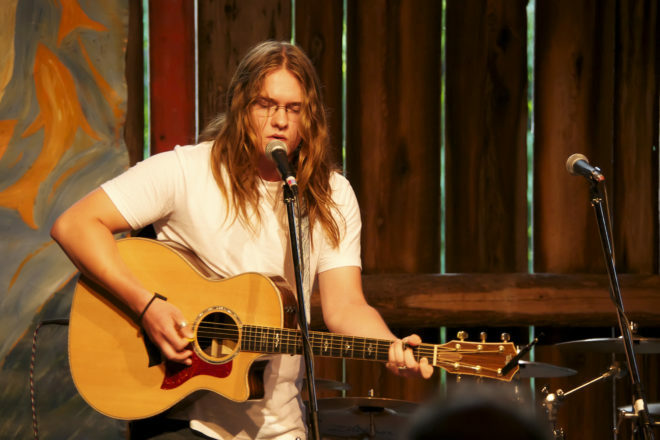 On Jan. 26 at 7 pm, Door County singer-songwriter Seth Raddatz will play in the Fireside Lobby of the Door Community Auditorium (DCA). He will perform his original songs with musical guests Mark Raddatz, Austin Raddatz, Marybeth Mattson and more. Tickets are $17.50 per person. Seating is limited, so advance reservations are recommended. To purchase tickets, visit the DCA box office, call 920.868.2728 or go to dcauditorium.org.